It’s been getting more dangerous to walk in the United States, but government grants may help ease the situation. 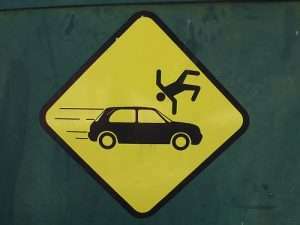 In 2012, the last year for which complete data are available, 4,743 pedestrians were killed in traffic crashes. That total represented 14% of all traffic deaths that year; a decade earlier, pedestrian deaths had been 11% of all road fatalities. The 2012 total was a 6% increase over the previous year. As more and more people choose to walk, federal transportation safety experts are trying to figure out how best to keep them safe, and government grants may be the answer. The NHTSA and the Federal Highway Administration will award grants totaling $1.6 million to Louisville, Philadelphia, and New York for public education and enforcement programs designed to improve pedestrian safety. The hope is that programs developed in those cities will eventually serve as models for other cities, Friedman said. The three cities selected for the competitive government grants this year were chosen from among 22 eligible cities. To be eligible, a city had to have a pedestrian fatality rate higher than the national average and had to have a pedestrian-safety program. The government grants are part of the U.S. Department of Transportation’s “Everyone is a Pedestrian” campaign. Louisville, where the six pedestrians who died in automobile crashes in 2012 represented 10% of the city’s road deaths, is getting $307,000. The city will use the money to create a pedestrian education program for schoolchildren, create safe walking routes for seniors and conduct law enforcement training. Philadelphia, where 31 pedestrians died in crashes in 2012 — 29% of the city’s traffic fatalities — will get $525,000. It will spend the money on increased police visibility and ticketing during high-risk hours in 20 high-crash locations downtown; the grant will also be used for outreach to pedestrians in those areas and to train police on pedestrian safety. New York, where the 127 pedestrians killed in 2012 represented 47% of the city’s traffic fatalities, will get $805,801. It will use the money to address speeding drivers and those who fail to yield to pedestrians in crosswalks. The city will also work to reach young men, the group most likely to be involved in pedestrian crashes, through social media and enforcement activities in high-crash areas. “They’ve put together plans that give us the confidence they will be able to really have an impact,” Friedman said. The success of the plans will determine future government grants in other locations. Be safe out there!